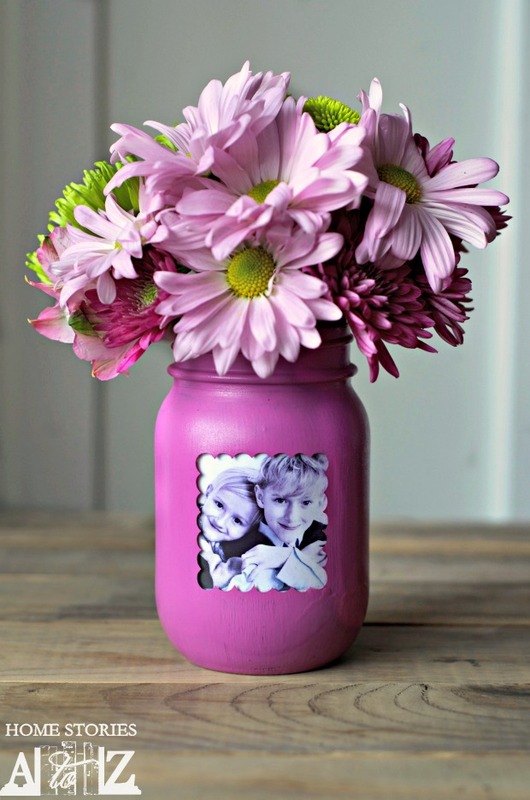 I am loving this mason jar picture frame vase from Home Stories A to Z. Such a unique spin on a painting mason jar vase. Imagine an image of your kids floating in the middle of this fun vase. Click here to get the full instructions for making your own version. Sorry about that! Fixed Angela! Hi Angie, love this idea but the link isn't working!